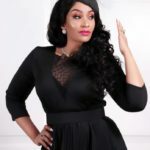 30th March 2019, saw South Africa-based business woman, Zari Hassan, crowned as Tourism Ambassador of the Year. The Boss Lady, Zari, was awarded at the Ekkulatourism Award Ceremony in her hometown, Uganda. The event went down at the Sheraton Kampala hotel on Saturday. However, the award was received by the CEO and her manager, Aly Allibhai, since she was in South Africa at the time. In 2018, the Ugandan socialite was appointed Uganda´s ambassador for Tourism by Godfrey Kiwanda, the Tourism minister. A move that did not receive such positive vibes from the netizens, however, this was definitely Zari´s step to massive success. Fans reactions Zari Hassan expressed her sincere gratitude and lots of love for those that supported her all through and above all, to God. In response, fans cheered her on: Hongera mama king bae  youngkacha Yes we did it I remember we received that news on last moment two days to end of voting. But heeee.. at the end we won african_dutches Even the sky ain´t the limit for you Zari… So proud of you  justmepetty Thank you @zarithebosslady you deserved it and even more ❤❤ talentafricagroup ZariMyAmbassador  zaridieharddaily Congratulations Zari, More wins are coming your way in Jesus name ❤❤ mwendebubbly That was going to be my parting shot but I couldn´t resist this last one… Waliosemanga umenyang´anywa uambassador akapewa miss Uganda cjui wataficha wap sura zao  gracemaige Whoop! Whoop!to the Boss Lady. The post From Uganda´s ambassador for Tourism Zari Hassan is now crowned as the Tourism ambassador of the Year appeared first on Ghafla! Kenya.